With more than 200 stores in the UK, clothing and homeware retailer Matalan are well known for providing a great customer experience in the real world. The next big challenge was to ensure that same great experience for visitors to their website. 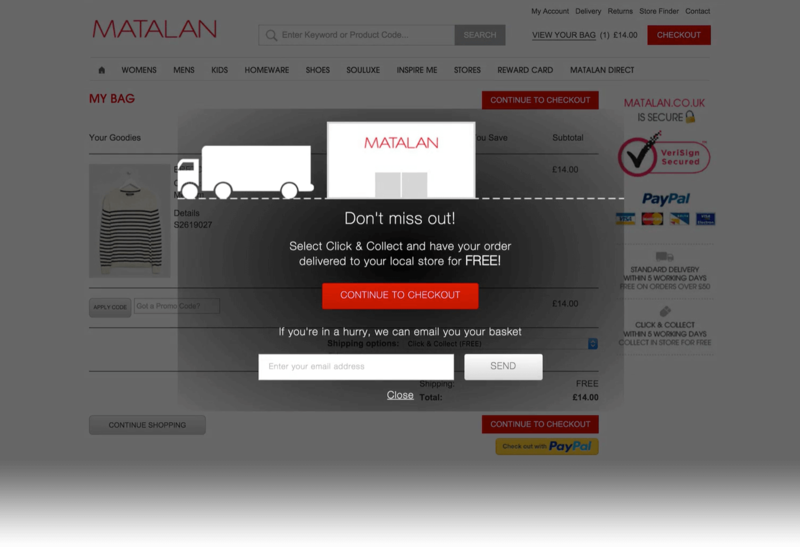 Matalan partnered with SaleCycle to do exactly that, focusing on cart abandonment and post-purchase aftercare. More than 75% of shoppers who add items to their shopping cart leave without buying, and Matalan and SaleCycle set about tackling this challenge. By identifying exit-intent and displaying a dynamic message based on the value of the visitor’s shopping cart, on-site remarketing is used to reduce abandonment. In addition, a multi-cycle email remarketing campaign reconnects Matalan with those who leave. To ensure the journey doesn’t end once someone spends their hard-earned cash, Matalan and SaleCycle built a smart upsell post-purchase email campaign. Using personalised recommendations, the campaign tempts customers back to buy a little more. By focusing on key areas within the customer journey, Matalan achieved an impressive increase in online sales from working with SaleCycle. 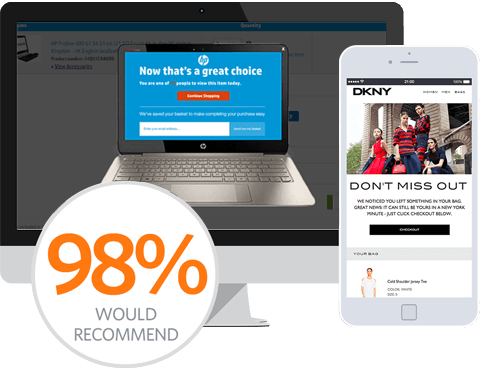 On-site remarketing has helped to reduce abandonment, with 5% of those who see these messages going on to complete a purchase. Cart abandonment emails have performed well too, boasting a 29% conversion from click. With a 24% open rate and 12% click rate, post-purchase emails have been a key in tempting customers back to Matalan’s website. The timeliness and relevance of the emails ensures that a personalized experience continues long after a purchase. Working with SaleCycle has allowed us to connect with our customers at every stage of the buying journey and deliver a personalised experience throughout. The service and support has been excellent from day one and the SaleCycle team are both quick to react to requests and proactive in bringing ideas to the table. Cross-Sell Email	Tempt them back to spend a little more. 75% of visitors add something to their shopping cart but then leave your site. Use cart abandonment emails to remind them what they left behind. It costs 5 times more to acquire a new customer than to keep an existing one. Use upsell emails to bring yours back to spend a little more.